Heads up. Roadmap is currently being updated. Check back soon. With Inspera Assessment's product roadmap we want to enable educators to leverage meaningful insights in learner and content performance to drive stronger curricular and test design. The Inspera Assessment Product Roadmap lists major product updates that are currently planned for our customers. Updates are at various stages from in specification to rollout. Disclaimer: The timeline of the roadmap is subject to change. Last updated: June 22th 2018. A Product Roadmap to where? At Inspera Assessment, we believe in an integrated, holistic approach that combines assessment of learning and assessment for learning, rather than seeing these as two separate worlds. We achieve this ambition through learning analytics and data-driven quality improvements, and through an increased focus on learner feedback and assessment as learning, where learners use assessment to advance their own path to mastery. The product roadmap and Inspera Assessment’s research focus areas reflect this need for flexible and connected assessment. We'll cover research areas as well as key product areas in this document. Smaller, additional updates will be announced one month prior to release. We believe traditional reporting is becoming generic. 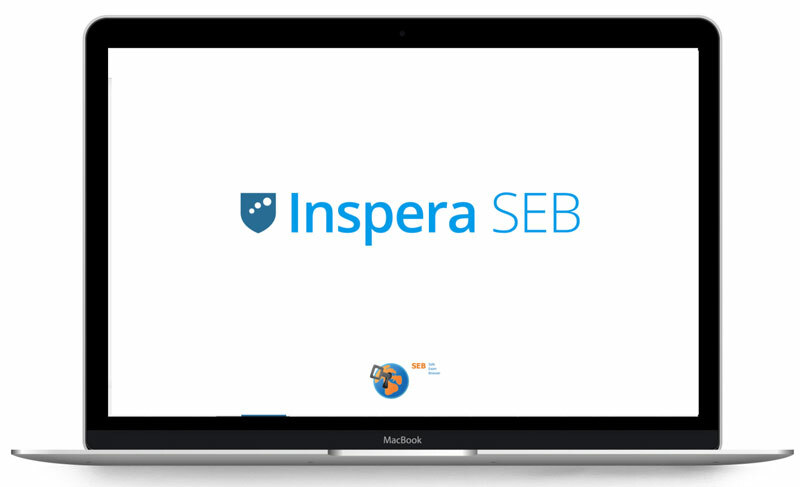 Our strategy is to offer integrated data and predictive analytics across all tools in Inspera Assessment. Classical Test Theory (CTT) into the Item Bank and Test Delivery tool. To offer more advanced reporting, we will also add support for Item Response Theory (IRT) Using this body of psychometric models, reporting will therefore not be limited to the context of a specific exam or test. By combining IRT with a more flexible Content Taxonomy, Inspera Assessment can provide high-quality live data analysis across topics/subjects. With advanced data analysis, customers obtain better insights into the quality of their questions and their tests, and obtain more reliable estimates of their learners' abilities. What was the hardest question in the test? Was there any question that was misunderstood by the learners? Given the time limit, was there too many questions in the test? CTT will help customers make evidence-based improvements to the quality of their assessments, harnessing the power of data and advanced analytics. We currently support the analytics data and estimates listed below. The main limitation of CTT is that it is sample- and item-dependent. Consequently, it can only be used in the context of a specific test. 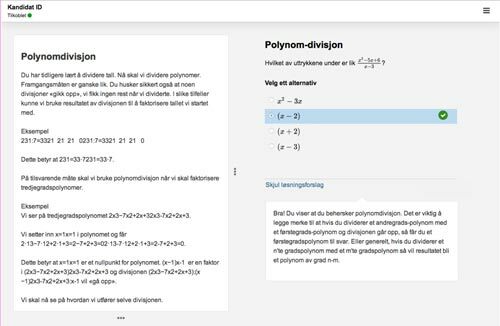 CTT will be of great value for educators to improve the quality of the test questions they set, and to help them improve feedback for their learners. However, for customers with large Item Banks, and in cases where items are used widely across different tests, CTT is not the best solution. IRT is a more recent body of psychometric models that has quickly gained traction among academics and education analysts. Under certain conditions, IRT is sample- and item- independent. Consequently, we can use this class of models to estimate the absolute difficulty and discrimination of items, as well as the absolute ability of learners. This makes it possible to track Learners’ progress over time, and to compare groups, classes, institutions or regions. It is a well-known fact that tests based on CTT often have too many questions, and are very time-consuming because they measure learners’ abilities across the whole spectrum of ability levels. An Item Bank with IRT-calibrated items makes it possible to construct shorter and better tests that are tailored for measuring ability at a specific level. When we harness the power of data and IRT effectively, we will enable educators to design more appropriate and efficient tests that are tailored to their needs and those of their learners. In addition, IRT is a prerequisite to support adaptive tests, and will therefore play an important role as we take our adaptive technologies further into the future. We need to compare and contrast knowledge and skills, not tests. The purpose of content taxonomies is to allow classification of item bank questions and stimuli resources for reuse, learning analytics, reporting, and quality assurance purposes. With support for multidimensional taxonomies it will be possible to not only classify items according to a syllabus, but also to classify items with the relevant cognitive processes that are involved (i.e. Bloom’s taxonomy). Content taxonomy support will be a prerequisite for many of our other key focus areas, such as effective Item Banking with good content balance, advanced analytics reporting, test construction and adaptive tests, to mention but a few. Research shows that immediate and clear feedback provides more efficient learning. Adaptive tests ensure a more accurate assessment of higher- and lower-performing learners. Adaptive tests adapt to the individual learner's ability level. The adaptive algorithm selects the next items based on a combination of the current estimate of the learner’s ability, content balance, and exposure of the items. Adaptive testing enables more effective summative testing at lower-grade levels, and more effective personalised learning. In a world where test fatigue is a major challenge to both educators and learners, adaptive tests are a major step in the right direction. Digitising paper exams is not sufficient for assessing 21st-century skills. 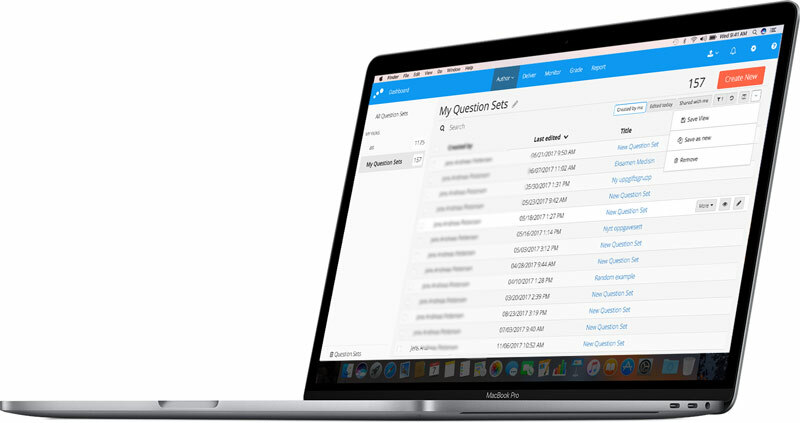 To achieve full syllabus coverage in various subjects and grade levels, we are building an API to allow customers to integrate other cloud-based tools in Inspera Assessment while still maintaining consistent scoring and reporting. We are also exploring other question types to be included in the standard version of Inspera Assessment. We believe that our customers also need an experimentation platform for new assessment forms, where Inspera Assessment's built-in psychometrics engine will indicate whether these forms are valid and reliable. Unified and blazing-fast listing of data. Unified and fast listing of content with psychometric capabilities. 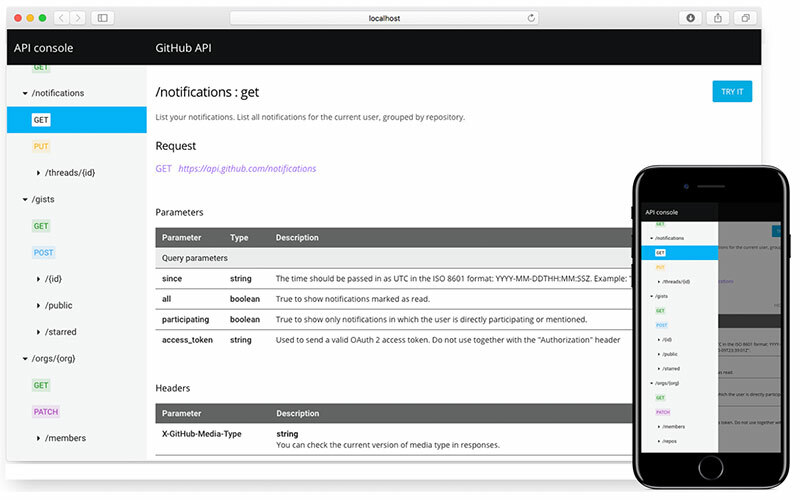 Inspera Open API will enable institutions to set up integrations on their own, utilizing open standards to enable co-operation and bidirectional flow of content, tests, submissions, results, users. 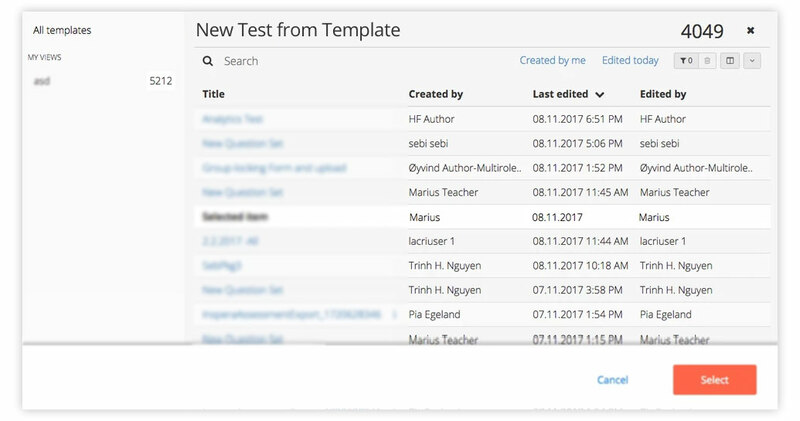 Test Templates will help institutions to speed up the test creation process. A Test Template can include any property of a test: Settings, Learners, time, question set, question types available etc. Machine learning to detect anomalous processes. We are building a new marking tool from the ground-up, supporting both existing and future, more data-driven assessment strategies, as well tailored assessment processes for exams or organisation units. Define marking strategies specific to institutional, subject matter and personal workflows. Minimal loading time, batch marking and keyboard input and navigation. Clarity about tasks and progress. With a dedicated user role for moderators, it will be possible to perform on screen moderation of the marking process. Moderators will be able to access all or relevant marking and provide comments on exams for review, remarking and audit purposes. Learner feedback sits at the core of assessments. Whether formative or summative, assessments are all about improving teaching and learning. 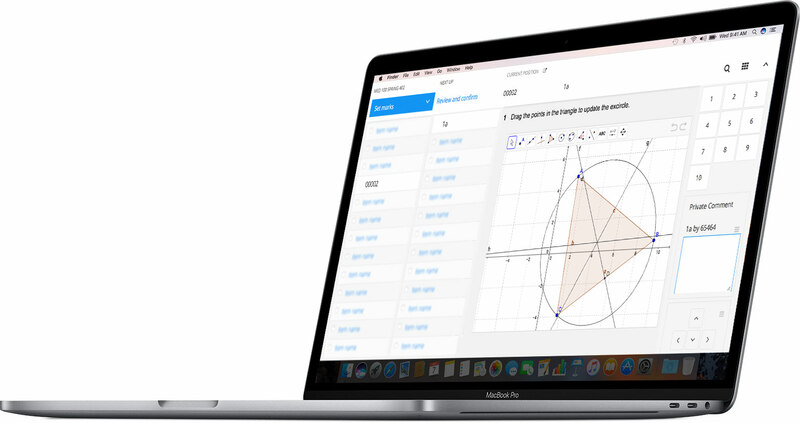 With increased support for marker annotation and comments,Inspera Assessments will make it easier for markers to provide detailed feedback to Learners and for Moderators to incorporate Learner feedback in their review of exam marking.